Good weather, the sound of engines revving and different styles of music playing through some of the best sound systems a car can carry is a great combination for a good night. Car enthusiasts always have a great time showing others their current projects. 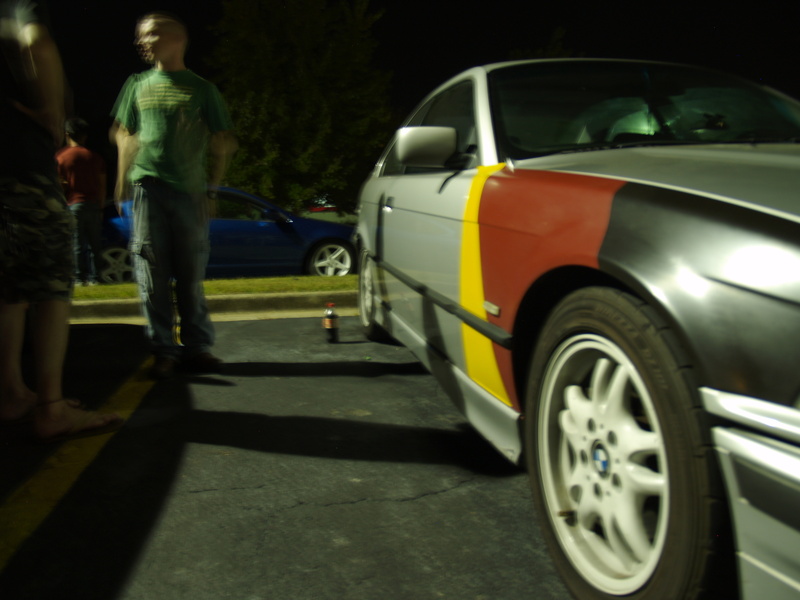 The parking lot was full at the Carrollton weekly car meet at Advanced Auto Parts Sept. 16. Domestic or import, classic or newer, upgraded or even car projects in progress, cars of all types were welcomed and creativity was a huge factor in many of the cars. Car enthusiasts from all over the Carrollton area shared their vehicle’s specs and discussed the different projects they have been working on. Some cars were for street racing. They would have completely rebuilt engines sometimes that were so unique to that particular car. Others were so low to the ground that their exhaust pipe broke off right there in the parking lot because their vehicle scraped coming in. Many Hondas were present, but there were also Acura Integra’s, Ford Mustangs, Pontiac Firebirds, Nissans and BMWs, with all cars customized in some way. Cars brought a group of people that may or may not even known each other, introducing themselves and talking about what brings them together the most. The meets are for anyone in the Carrollton area wanting to get together and talk about cars. The meets happen every Sunday evening at 8 pm. The location sometimes varies, but it is set currently at the Advanced Auto Parts store, 417 Bankhead Highway. If there is any interest in attending these events, one can get connected on Facebook by liking the page Carrollton Car Meets. There, many videos and discussions can be posted and viewed on what is currently happening in the Carrollton area. Any additional ideas regarding cars in the Carrollton area may be seen as well.